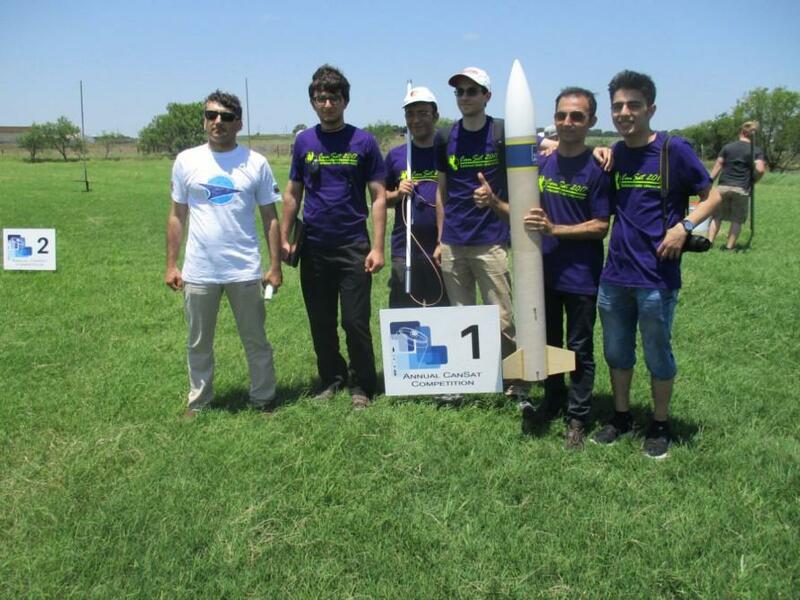 The NaaSAT satellite team of Azerbaijani National Aviation Academy has been invited to another international competition CanSat, the Academy teacher, engineer-designer Akbar Aliyev. The contest will be held on June 8-10, 2018 at Tarleton State University in Stephenville, Texas. For the first time the NaaSAT team took part in CanSat in 2016, taking the 31st place among 40 teams. This year the national team became 13th at the same competition. Aliyev said that unlike last year, this time certain changes have been made to the technical criteria for the selection for the competition. Earlier, teams had to launch their rockets, from which a container was separated, and a gliding device from the container was smoothly descending and conducting monitoring. Now, the rocket should raise this “microsatellite” to a certain height, and then it should conduct monitoring while smoothly descending via a parachute. “The conditions are such that the “microsatellite” should drop to a height of 400 meters at a certain speed, and only then to change its speed. This year, participants will have to comply with the requirements for a gradual decrease, so an egg will be placed inside the “microsatellite,” and the device will have to land in such a way that this egg does not break,” Aliyev told Trend. While gliding, the microsatellite must measure the flight altitude, wind speed, air parameters (temperature, pressure and composition), take photos on commands from the ground. The received flight and atmospheric data must be sent to the ground station with the software developed by the team. CanSat competitions offer students to have practical experience of a real space project. The teams are responsible for all aspects including designing the CanSat, selecting its mission, integrating the components, testing, preparing for launch and then analyzing the data. Main objective of the project is to inspire young people for pursuing a career in the STEM (science, technology, engineering and mathematics) fields as well as ensure the availability of a highly qualified workforce in the space industry of the future. CanSat competitions have taken place in many countries around the world over the past 20 years. 19 April 14:13 • When Islamic financing may be introduced in Azerbaijan?